any kind of file manager for this phone. Good morning. I tried to dail *111# to buy a data bundle but it doesn't seem to work do I need to phone Vodacom to get it fixed? How do I get the english words not to appear every time I type a message on fb, whats app and sms I end up typing the message over and over and over. And then my airtime just seems to be used even though I am not doing anything. Anyone know the reason why. if someone steals my phone and changes cards, can I still find it. been told that once the card is changed I will not be able to trace it? ppl i wnt 2 buy nokia lumia 610 bt am reading my complains abt its so iwnt 2 knw dat mst i buy it or nt nd also the ar sayng its cost alot in airtym. ma Bluetooth does not work, I cnt imort videos frm ma Pc to da fon, likewise from ma fon, wat could be the problem? cos am reli loosing it. 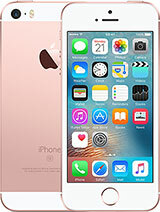 GeeMacCee, 15 May 2013Opting for this phone was a total disaster!! Previous phone is a Nokia E5 - loved it. Couldn't... moreIs it a gd idea 2 buy this 4ne? 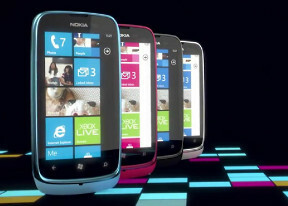 hey guys upgrade ur phones wid windows 7.8...den u wont complain i guess!! MAK, 04 May 2013im looking at buying a lumia 610 in replacement for my old nokia. Is it worth buying? because ... moreNO!!! Just read all the complaints about the lack of transferability and other basic deficiencies and shortcomings. I guarantee you: if you buy this phone, you'll be wasting your money - and you'll join the list of people complaining about it here. Avoid it all costs - I have paid the price and have thrown it into the back of my wardrobe. Opting for this phone was a total disaster!! Previous phone is a Nokia E5 - loved it. Couldn't transfer contacts and other info to the Lumia 610 without massive app downloads, Skydrive, Zune and all kinds of hoops - and then it still failed!! Have been a Nokia customer for 15 years - this is definitively my last! Have boxed it all up again and chucked it in the cupboard. Using my E5 again till it eventually dies. Disgraceful - a poor product, badly supported, flawed design and an absolute pain to start using. Goodbye Nokia! 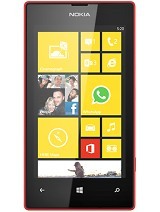 Total of 3963 user reviews and opinions for Nokia Lumia 610.